Imagine that you are a victim of a violent crime or theft but are forbidden from reporting it because Congress has passed a law that not only prohibits you from reporting the crime, but threatens punishment if you dare to do it. This is the situation in which the Palestinians find themselves today. The Palestinians have been told that the US government is on the verge of decertifying their right to maintain an office in Washington because they had the audacity to complain to the International Criminal Court (ICC) about Israel’s land theft and settlement activity in the occupied territories. The story behind this nightmarish situation began in 1987 when Congress passed a law prohibiting the Palestine Liberation Organization from operating an office in the United States. 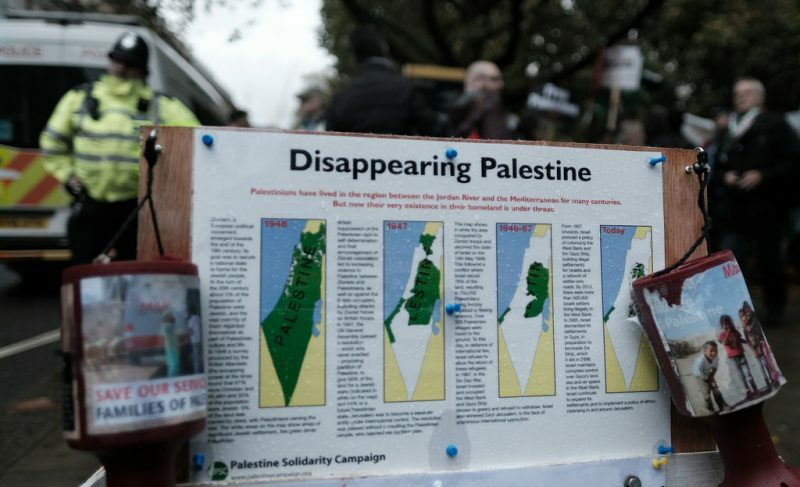 This legislation which was pushed by the American Israel Public Affairs Committee (AIPAC), the pro-Israel lobby, was designed to ensure that the Palestinians would have no presence or voice in either Washington or at the United Nations. It was an effort to put into law a secret commitment Secretary of State Henry Kissinger had made to the Israelis a decade earlier that the US would not recognize or dialogue with the Palestine Liberation Organization (PLO). The Israelis had insisted on this “no-talk” policy for the simple reason described by Israeli Labor Party leader Yitzhak Rabin: “Whoever agrees to talk to the PLO means he accepts in principle the creation of a Palestinian state between Israel and Jordan, and this we can never accept”. In 1993, after Israel and the PLO signed the Oslo Accords, in which both sides recognized each other’s national rights, Congress met to reassess their 1987 legislation. Instead of doing the right thing and simply canceling it, once again pressed by AIPAC, Congress chose to keep the law in place. The one concession found in new bill gave the President the right to waive the anti-Palestinian provision every six months on the condition that the State Department could certify to Congress that the Palestinians were adhering to the provisions of the Oslo Accords. This legislation, termed as the Middle East Peace Facilitation Act (MEPFA), imposed a series of requirements on the Palestinians. Among them were: renouncing the Arab boycott, nullifying the PLO Charter, not opening offices in Jerusalem, ending terrorism, and taking no steps to change the status of Jerusalem, West Bank, or Gaza pending the outcome of negotiations with the Israelis. Because Congress chose to only impose these conditions on US aid to the Palestinians and their right to operate an office in the US aid, while placing no such requirements on Israel’s adherence to the terms of Oslo, it was clear from the very beginning of the so-called “Oslo process” that the US could not play the role of “honest broker” in the search for peace. Every six months, Israel’s lobby would raise the issue with Palestinian compliance, documenting alleged Palestinian infractions and then protesting when the State Department would certify them. All the while, Israel, operating with complete impunity, continued: expanding Jewish-only settlements, roads, and infrastructure in the West Bank and what they called “Greater Jerusalem” creating new “facts on the ground”; imposing new humiliating conditions on Palestinian life in the occupied lands; and repeatedly violating their obligations under Oslo and the follow-up Cairo and Paris Economic Accords. While Israel had recourse to go to the US Congress to complain about allegations of Palestinian non-compliance, the Palestinians could not. Their only recourse was to bring their case to the United Nations where the US would, in the end, veto any and all resolutions critical of Israel. In this context, I have always found it irritatingly disingenuous when the Israeli side expresses its contempt for what they call the UN’s “automatic majority” for the Palestinians, while refusing to acknowledge the “automatic majority” Israel has in the US Congress. Over the next two decades, the terms of the MEPFA were modified to include a suspension US aid for the Palestinians and decertification of their right to operate in the US if the Palestinians were to join any international body with the equivalent status of a “member state”; or if they were to receive full member state recognition at the UN; and, more recently, if they were to bring a case against Israel’s violations of international law before the International Criminal Court. “We have also called on the International Criminal Court, as is our right, to open an investigation and to prosecute Israeli officials”. Abbas specifically cited Israeli settlement activity as the crime, in question. Israel’s settlement policy is, in fact, in violation of international law. The Fourth Geneva Convention prohibits an occupying power from both moving its population into “territories occupied in time of war” and dispossessing the occupied population of their land and properties. Every member nation of the UN, except Israel, has held that the Conventions apply to the territories occupied by Israel in 1967. Even the US, despite repeated efforts to dumb down the language it uses to describe settlement activity – from obstacle to peace, to unhelpful, to illegitimate, etc – has never erased from the books a Carter-era legal opinion on settlement illegality. In the 50 years of its occupation, Israel has built settlements for over 650,000 of its citizens in the West Bank and around Jerusalem deliberately changing the demographic character of the territories. They have also built a Wall well inside the West Bank separating Palestinians from their land. And in order to facilitate this colonial venture they have seized Palestinian property dispossessing the people of the occupied territories – again in violation of the law. 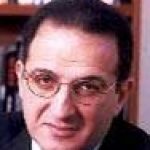 Since the US, despite periodic hollow protests, has never shown willingness to act to stop this theft and illegal dispossession, and since Congress has, of late, been writing legislation using language that has the clear intent of legitimizing Israel’s conquest and colonization, the Palestinians’ only recourse has been to take the matter to the ICC. That they have dared to use this non-violent legal challenge to Israel’s law-breaking has caused the current crisis that may result in closing the Palestinian office in Washington and making it illegal for them to operate in the US. The State Department and Congress say that they are simply following the law. But the law, in question, is an unjust law that punishes the victim while allowing the victimizer to continue its crimes. The law ought to be changed, but since Congress will not behave in a balanced manner, the Palestinians should proceed full speed ahead with their complaint to the ICC. On the Media Horizon: "We Invest, You Decide"